Many people will relate 'Hantu' as the Malay word for ghost and hence the island Pulau Hantu is literally referred to as "Ghost Island". The island is actually far from the spooky tales and myths of restless spirits or ghosts. 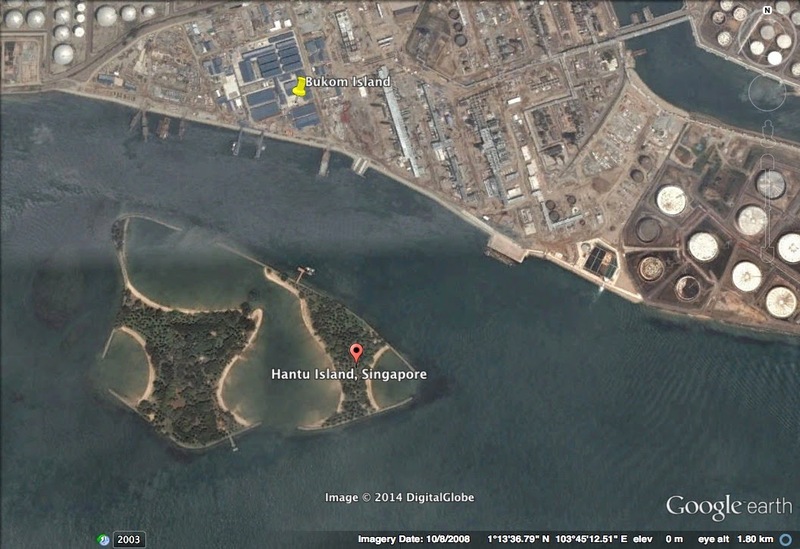 Pulau Hantu looks tiny compared to its refinery neighbour, Pulau Bukom. The whole of Pulau Hantu is formed by two separate "Hantu" islets - Hantu Besar (Big Ghost) and Hantu Kechil (Little Ghost). Legend has it that the two islands were formed as two Malay warriors died here while having a fierce battle at sea, with one warrior of smaller size than the other. Their battle was interfered by the sea spirit, whose action was felt strongly against by the gods. Thus, the sea spirit transformed the two warriors into islets so that their spirits can continue to live on them. The other version about Pulau Hantu that I had heard of is about the community of fishing owls living on this island where it used to be a fishing village. The Malays refer owl as Burung Hantu. Pulau Hantu is now under the management of Southern Islands Development of Sentosa Development Corporation. There are no public ferry servicing Pulau Hantu so the only way to get to the island is to negotiate and arrange for ferry service from one of the ferry companies located at West Coast Pier. This morning, we were blessed with great sunrise from the ferry we were on. 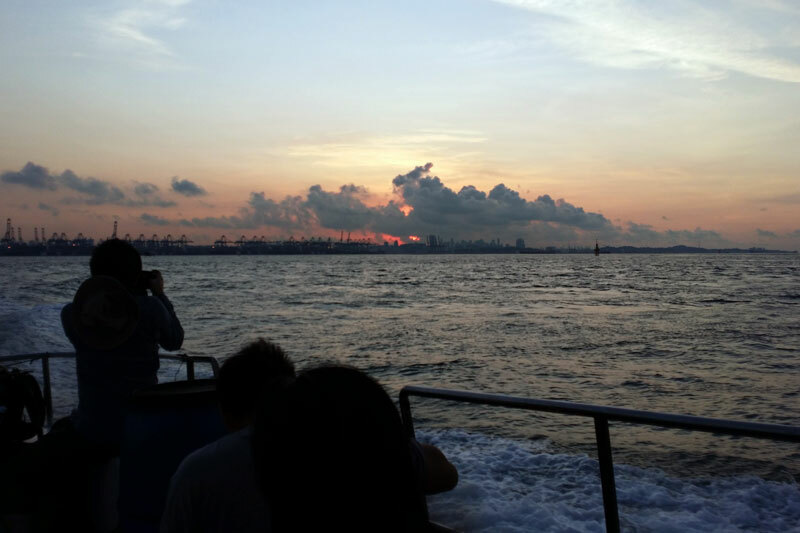 Sunrise on the way to Pulau Hantu. Once arrival, its off to check out the reefy northern part of the lagoon. A few of us head straight for lagoon opening while the rest checked out the area nearest to the jetty first. 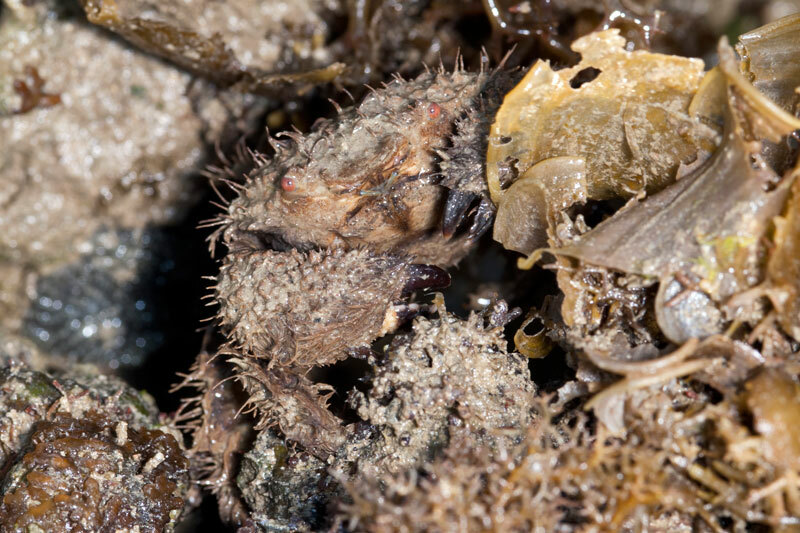 There were many hairy crabs (Pilumnus sp.) heading back to their hiding crevices after foraging on the reef. 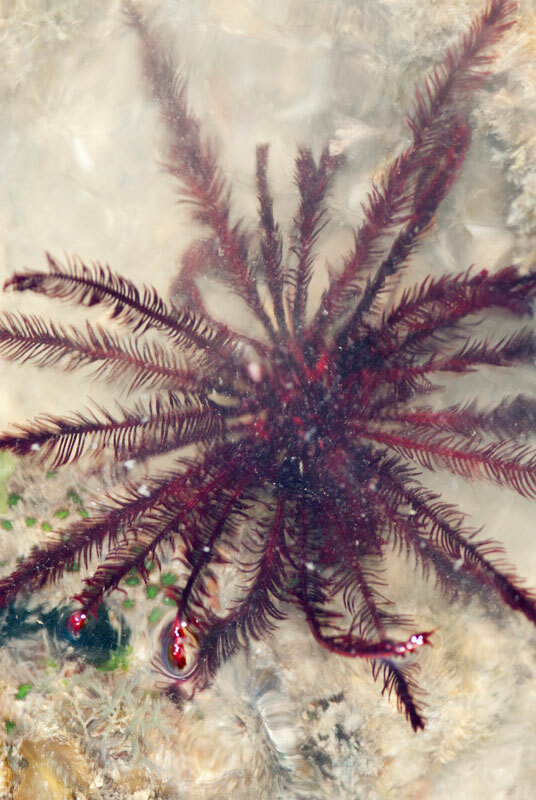 The shallow waters along the reef was pretty clear today and there was a number of the feather stars to be seen. 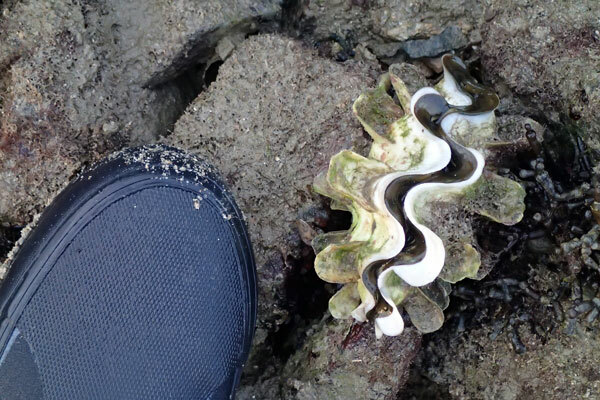 The highlight for me was locating the fluted giant clam (Tridacna squamosa) Kok Sheng showed me during our previous trip here about a year ago. The others who managed to find this clam were too excited about its progress. 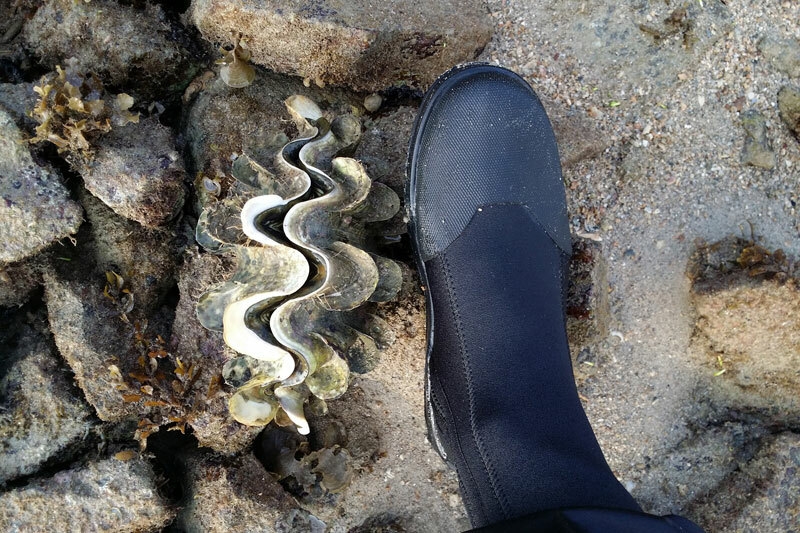 Here is the image of the giant clam, taken 1 year ago. Here is the image of the same giant clam, taken on this trip. Wow! The giant clam has grown so much over the period of one year. Mei Lin, who is researching about giant clam, is going to be so happy. The tape seagrass (Enhalus acoroides) looks good in the lagoon and some even had fruits. I did not spend much time checking out the lagoon and reef as I needed to factor in some time to do aerial documentation of Pulau Hantu. Alas, in all things good about Pulau Hantu, an abandoned driftnet was spotted closer to the lagoon opening during an guided intertidal walk last week. Read more on my previous post here. So part of today's trip is to help remove the driftnet towards the end of the trip. 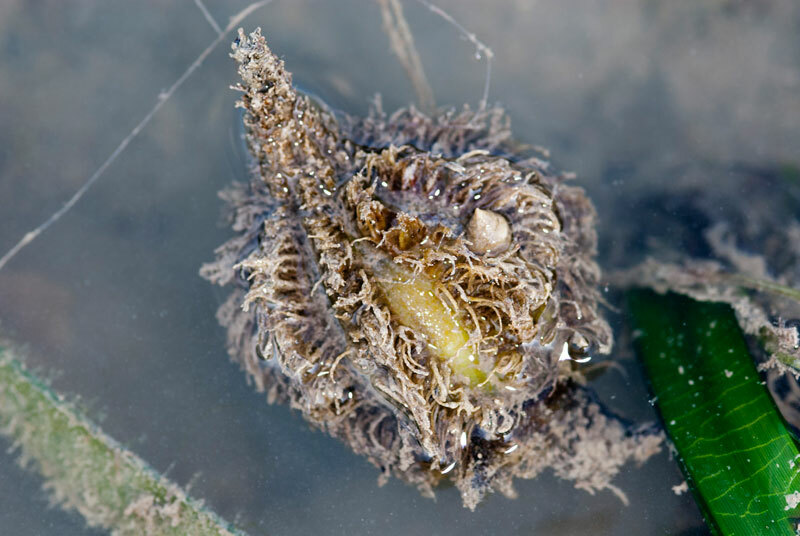 While checking the driftnet, Nicole spotted a crab tangled in the net. The poor crab has lost both pincers and quite a number of its legs when we found it. The team came across more animals trapped in the driftnet later. 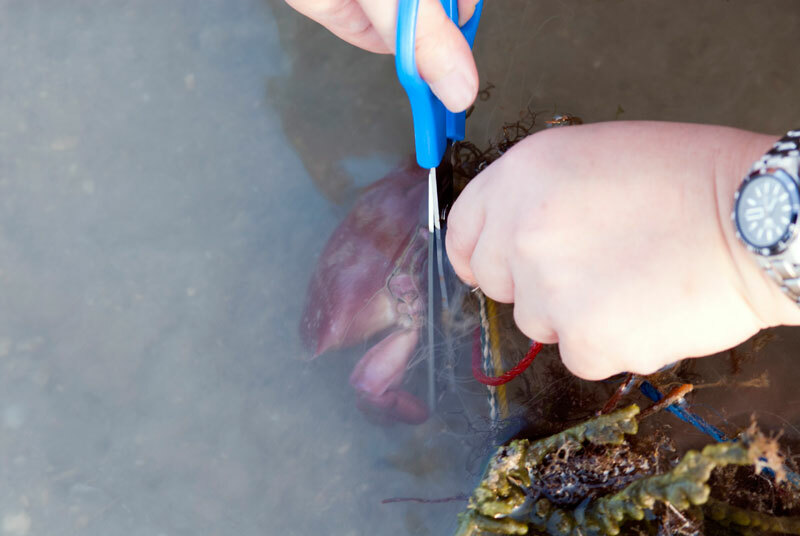 Luckily, we came prepared with scissors to free tangled animals. I did not take much photos of the driftnet removal process. Instead, I documented it from the drone. Unfortunately, it was rather upsetting that the next morning, new driftnets were seen to be laid at the opening of the lagoon. Two fishermen with a blue dinghy laying out the driftnet. Another net has already been laid further back. Read more about the driftnet removal on Project Driftnet's blog post. 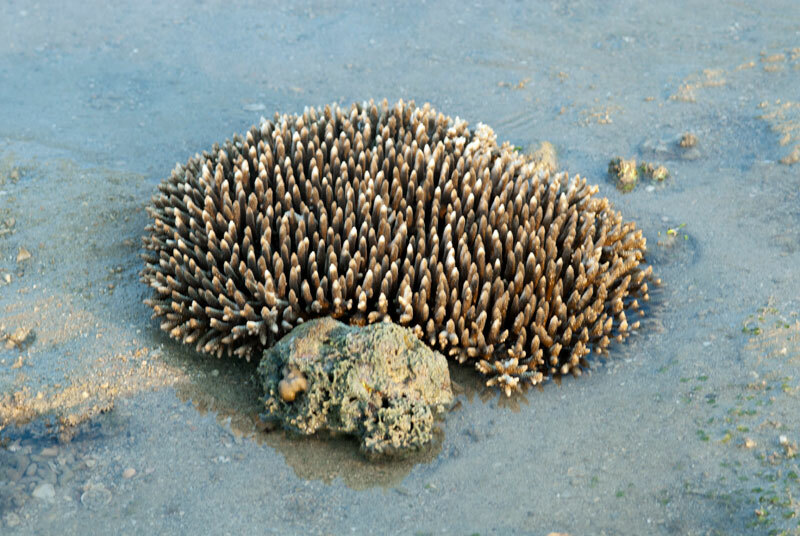 It was a great day of work on the intertidal shore of Pulau Hantu. The next morning, I joined a group of divers in exploring the subtidal area of Pulau Hantu. 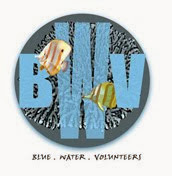 We had a great time with many pretty nudibranch, anemones, flatworms, sea stars, corals and many other marine animals. 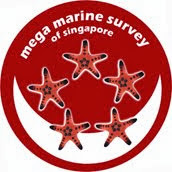 Who says Singapore has no marine life? Here are some photos taken by me. This is my first time seeing the blue-spot nudibranch (Dendrodoris krusensternii) in such a pretty form. 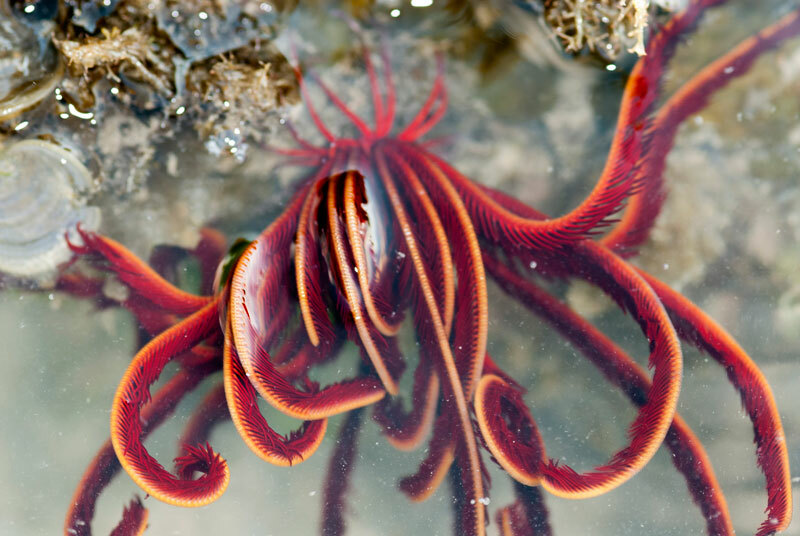 Usually when we see the animal during our intertidal trips, the animal's features do not show up so nicely as compared to being submerged. It is a pretty fast mover too. It was a great weekend exploring different parts of Pulau Hantu. A great and interesting video! Well done! I wish more! Are the crab inviting us to visit Pulau Hantu? ?